The Library is excited to be expanding with the building of the new Student Learning Centre, currently under construction at Yonge and Gould streets. This dynamic facility will greatly expand study space for students, house key academic support services and provide a vibrant learning environment for the Ryerson community. 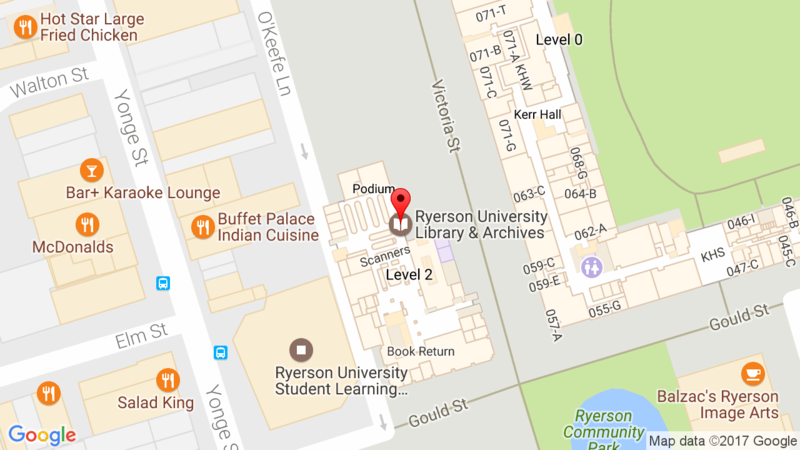 Although the bulk of the renovation will be taking place outside of the Library, or in areas restricted to staff, from June to August 2013, there will be some minor renovations to the Library’s 2nd and 3rd floors that may impact on use of the space. The Library will remain open during the Spring and Summer terms, and the bulk of the demolition and construction should take place during off-peak hours to minimize disruption to patrons. Free ear plugs are available at the Research Help Desk if noise becomes an issue for our users. To keep up to date with renovations, please visit the Library website, or follow us on Twitter or Facebook for regular updates. We apologize for any inconvenience. 2nd floor: hoarding near Research Consultation area, in the SW corner of the Besse Learning Commons. 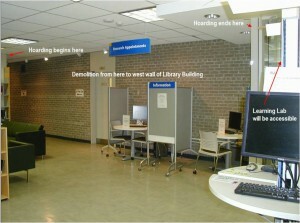 Demolition is required to enable the construction of a connection from the 2nd floor to the Student Learning Centre. 2nd floor: Learning Commons Lab. 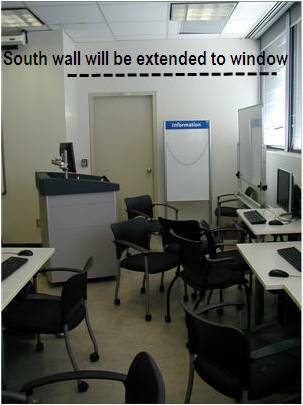 South wall of the lab will be extended to the window. The lab will still be accessible to students. 3rd floor: area by the men’s washroom. 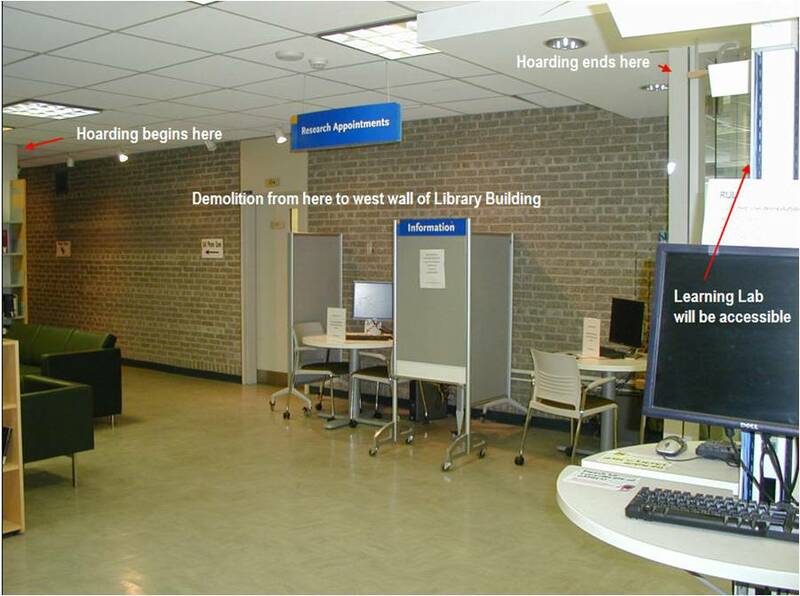 There will be hoarding in this area to create a connection to the Student Learning Centre on the 3rd floor. 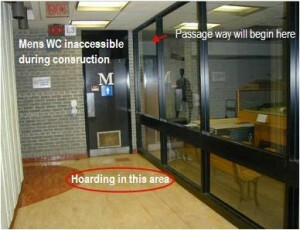 The men’s washroom will be inaccessible during this phase of construction. The SW corner of the Archives will also have some hoarding, although the Archives itself will remain open.